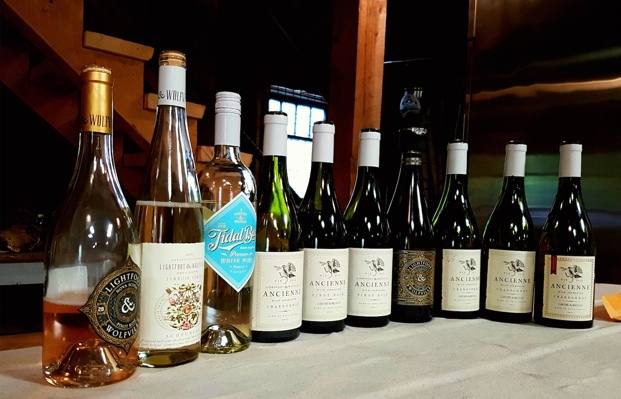 In the throes of judging 1,700 plus Canadian wines at the WineAlign National Wine Awards of Canada I slipped away to reconnect with Mike Lightfoot at his property in Wolfville, Nova Scotia. The last time I paid the family a visit, Mike, Jocelyn, Rachel and winemaker Josh Horton were planning, scheming and on the cusp of breaking new ground, figuratively and literally speaking. 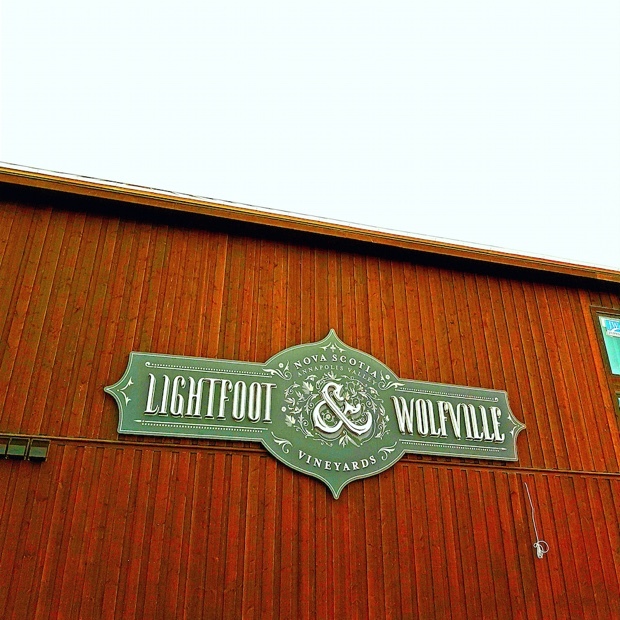 The new Lightfoot & Wolfville winery facility was beginning to take cerebral, engineered, augurate and anticipatory shape. It’s now well into the building phase, in fact, at some point this summer L & W’s unprecedented facility will open to the public. When it does it will change the wine landscapes that include more than just Wolfville, the Gaspereau, Annapolis Valleys and Nova Scotia. It will reset the needle, compass and artfully strategized standard for Canadian wineries everywhere. 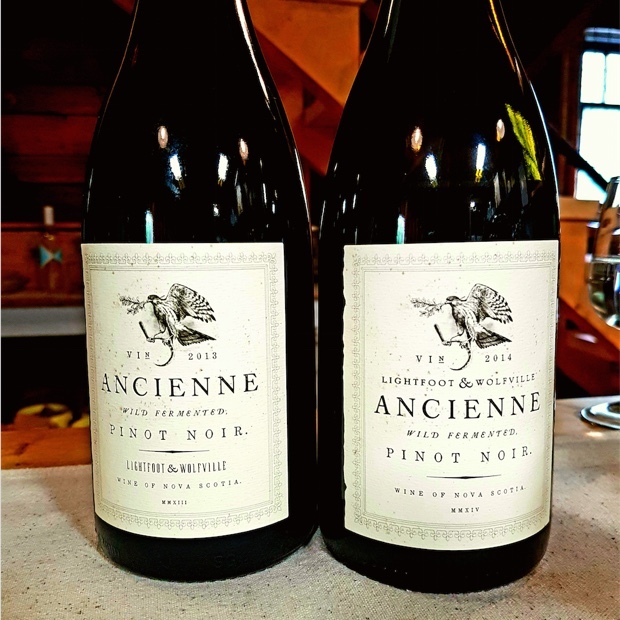 Mike and Jocelyn have taken a once thriving apple farm and turned its rolling hills into Nova Scotia’s most progressive organic and biodynamic winery while also perpetuating the raising of animals in the heritage meets modern agriculturist way. In 2014 I made the following ambitious statement. 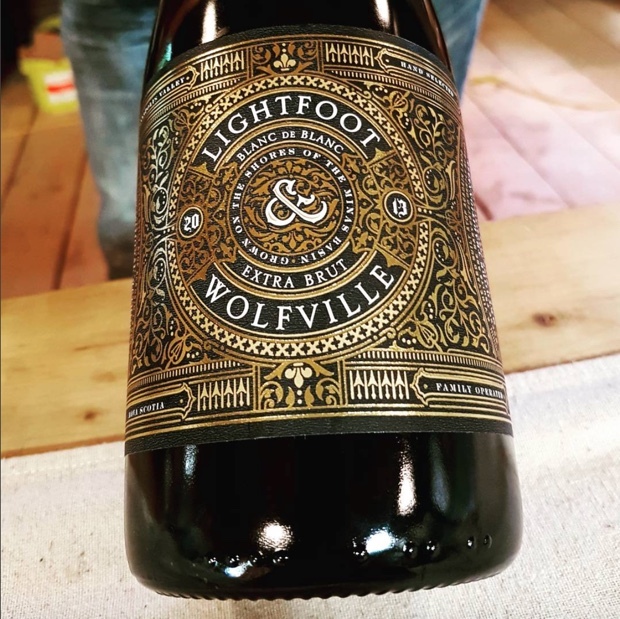 “Lightfoot & Wolfville will take everything anyone has ever thought about the Nova Scotia wine industry and turn it on its head. Hybrids and local varieties will continue to be a part of the stratagem. 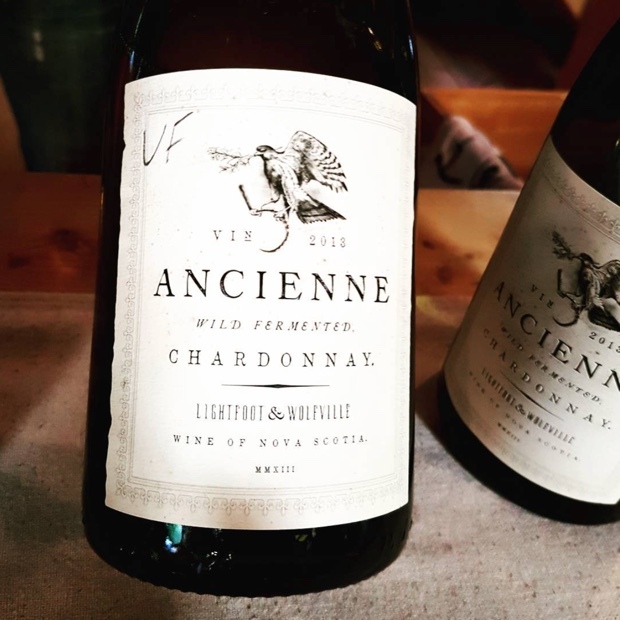 In the unpredictable climate of Nova Scotia’s wine growing regions that is a necessity but it’s what chardonnay and pinot noir will do that will put the province on the map and the world’s stage.” Mean it. 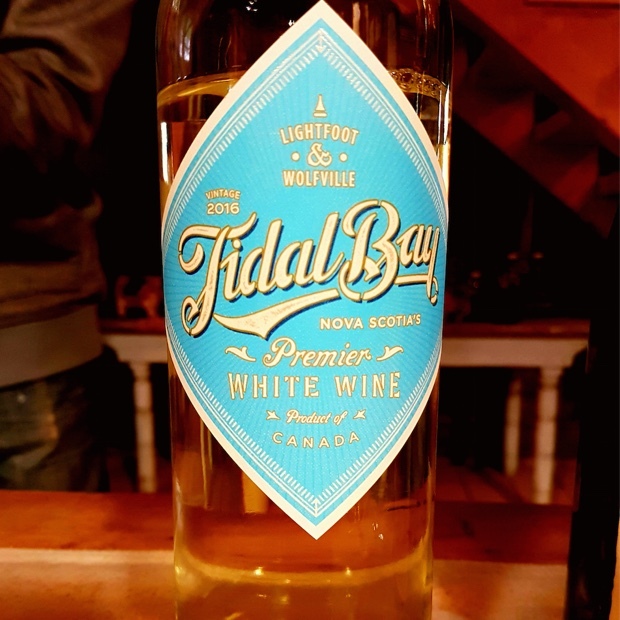 Related – Great Chardonnay and Pinot Noir from Nova Scotia? The external vineyard planted near Avonport called “Oak Island” is perched on a hill with a view of the Minas Basin at the head of the Gaspereau Valley. “Le Corton,” as it is known, or as I like to call it, “Oak Isle Knoll” is where consulting oenologist Peter Gamble has placed 100 per cent certainty in the future success of Vinifera grapes. Vigorous vines will increase the possibilities for chardonnay, sparkling plus a host of expected and eclectic varieties, like riesling, sauvignon blanc, gewürztraminer, chenin blanc, chasselas and scheurebe. Mike and winemaker Josh Horton ushered me through a tour of the new facility. 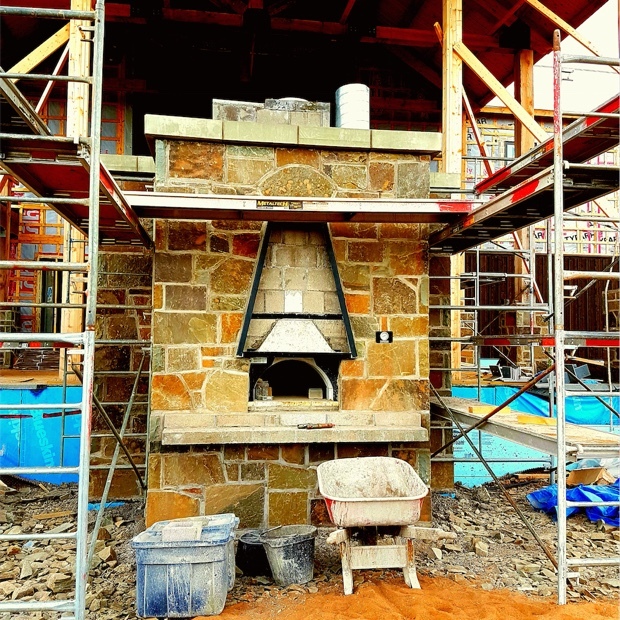 A state of the art retail shop, quick production kitchen, al fresco pizza oven and a subterranean cellar, private dining facility and commercial kitchen to make iron chefs drool. 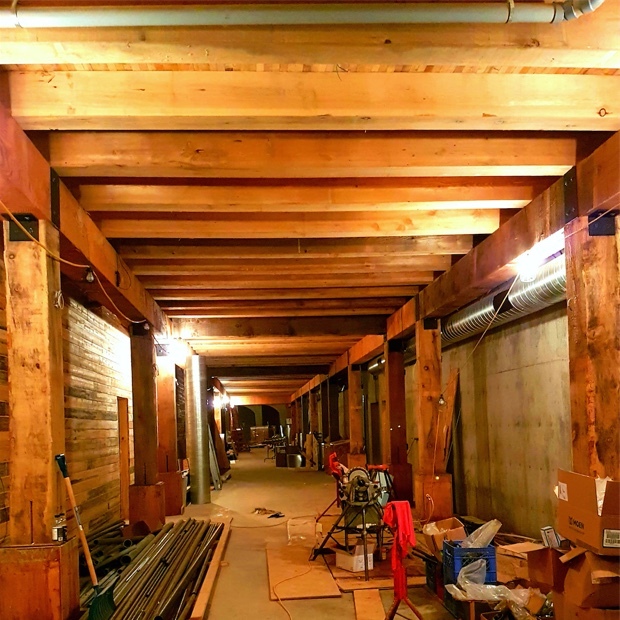 The mammoth-sized, reemployed beams alone are pieces of reclaimed and refashioned wood to send one into a state of awe. It felt as though I were walking through the massive hull and underbelly of a great romantic period ship. I sat down with Mike and Josh to taste 10 wines, some new and some revisits, for perspective and to expound on some personal theories of L & W relativity. Josh Horton is coming into his own as a winemaker and just in the nick of time. The nigh fact of this property’s history and ineluctable expansion will weigh on the ancienne ideology but Horton’s de facto ability and unaffected personality equip him with the tools to face the challenge head on. 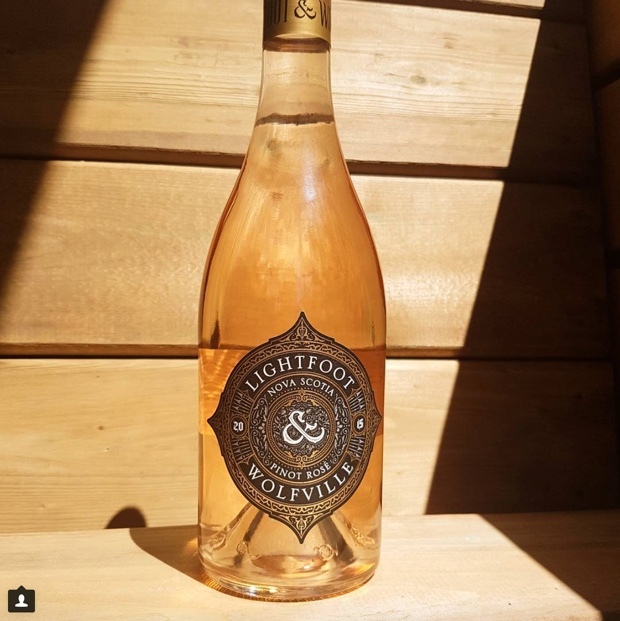 The future is now for Lightfoot and Wolfville Vineyards. Retrospection, reflection and what we know now places this so obviously in the exact spot where it began. So now we establish a minimum five years going forward to reach the sweetest of sweet spots. This now gives perspective and a reference point for where ’14 is and will be going forward. This 2013 is less immediate, a wonder of first time luck, pomp and circumstance. It is nothing short of remarkable. Last tasted June 2017. The ’13 seems to at first have really softened but that’s only relative to tasting it side by side with the 2014. It’s also leaner when considered side by each though still carries weight and creaminess on the palate. Winemaker Josh Horton also pours an unfiltered experimental bottle. It is so clean, almost indiscernible to the filtered ’13, except perhaps with more bite on the palate and yet less creaminess than the ’14. Lasted Tasted June 2017. 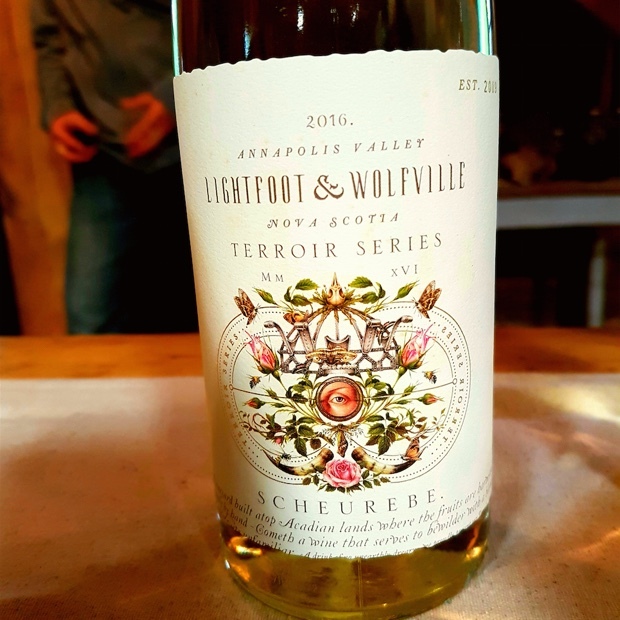 This entry was posted in Canada, Gaspereau Valley, Lightfoot and Wolfville Vineyards, Nova Scotia, WineAlign, Wines of Nova Scotia, Wines Tasted and tagged Al McIntyre, Alcoholic Beverage Manufacturing, Ancienne, Avonport, Bay of Fundy, Beverage Manufacturing, Beverages, Blanc de Blanc, Blomidon, Chardonnay, Culture and Lifestyle, Drinks and Beverages, Evangeline Trail, Food and Beverage Sector, Food and Wine, Geisenheim, Jocelyn Lightfoot, Josh Horton, L'Acadie, Michael Godel, Mike Lightfoot, Minas Basin, Oak Island, Peter Gamble, Pinot Noir, Racca Vineyard, Rachel Hope Lightfoot, Red Wine, Riesling, Rosé, Schuerebe, Tasting Notes, Tidal Bay, Vidal, Vineyards and Winemakers, White Wine, Wine, Winemaking.